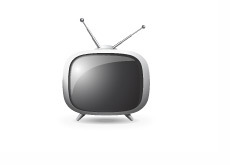 Poker on TV: What Stays, What Goes? Over the past few days, there has been a great deal of chatter regarding the fate of TV shows such as "High Stakes Poker", "Poker After Dark" and even the World Series of Poker on ESPN. "High Stakes Poker" - no word yet as to the fate of HSP. A new episode of the show aired this past Saturday, one day after "Black Friday". 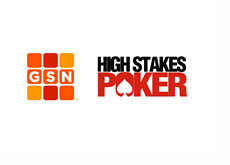 I think that it would be safe to assume that HSP goes dark after Season 7, especially given the fact that Pokerstars.net is the sponsor of the show. In addition, it's probably same to assume that HSP ratings have been down considerably from Season 6 anyways, which will make it an easy decision for GSN. "Poker After Dark" - considering that PAD is basically just a FTP infomercial, I can't see Full Tilt electing to continue the show, as American players are currently not able to play for real money on their site. Considering that FTP pays NBC for the time slot, I can easily see NBC wanting to distance themselves from FTP and electing to not air the show, even if FTP wanted to continue. I think that PAD is also done after this season. "NAPT" - ESPN pulled North American Poker Tour broadcasts from their line-up. Dead. World Poker Tour - considering that PartyGaming now owns the WPT brand, you can be fairly certain that the World Poker Tour will continue to air. There are no legal issues with the sponsor, so Fox Sports Net will likely elect to keep airing the show. National Heads-Up Poker Championship - I'm guessing that the National Heads-Up Poker Championship will continue to air, as the show is sponsored by Godaddy.com. Will Godaddy.com continue to sponsor the show? How will the ratings for the show hold up if online poker legislation in the United States isn't introduced over the next couple of years? NBC will likely (in my opinion) stay the course with the NHUPC - for now. The future for poker television shows that are targeted at the US audience is not looking very bright right now. On the other hand, there could be a burst of activity in the production of shows that target players outside of the United States, as the battle for non-US players grew more intense the second that "Black Friday" took place.